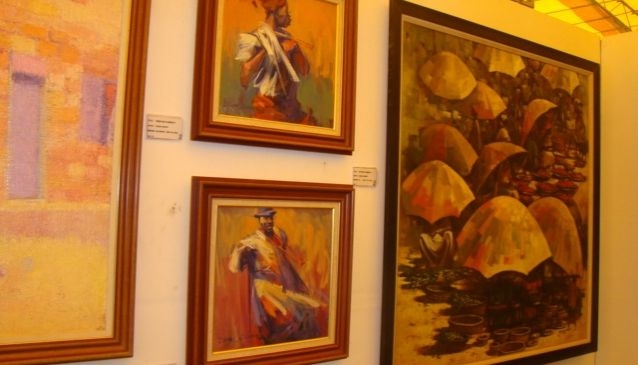 Mydrim Art Gallery was founded in 1992, and is a beautiful gallery in the heart of Ikoyi in Lagosi. It houses a wonderful selection of art works from many sort after local artists; this is the a very good place to visit when looking for genuine paintings and sculptures all at reasonable prices. Mydrim Art Gallery displays art ranging from every day life in Africa, portraits, abstracts and stylized mixed media paintings. There are some sculptures on display in the gallery also. Mydrim Art Gallery also host exhibitions frequently within there premises of many local artists. Mydrim also offers art work for sale. Purchase one of these, oil paintings, water colours, pastel, ceramics, etchings, sculpture. They do framing of art, photographs, and certificates.